This post may contain affiliate links. If you click a product link and make a purchase, I’ll earn a few pennies but your price won’t change. Click here for details. I never thought I’d say those words but after listening to Daniela Acitelli and Katie Welburn as they narrated my books, I changed my mind. I’ve since gotten one of my favorite Debbie Macomber series, Midnight Sons, Alas, Babylon (narrated by Will Patton! ), another favorite since my sister stumbled on an old copy in the library. She thought I’d like it. She was right. Let’s see… I also have The Host, a couple of non-fiction books, and just got Under the Tuscan Sun tonight. I have found, however, that there is a big difference between listening to a book and actually reading one. I know. That sounds like a ‘duh’ thing to say but it’s true. With a ‘real’ book – I mean the kind I hold in my hands and read with my eyes, I can tune out the world around me. Maybe not a hundred percent. I mean, there’s a three-year-old living in my house so I still have to be alert to what she’s doing. But if she’s busy playing or watching nursery rhymes, I can get a little reading in. I’m still aware of what’s going on, but can still concentrate. An audio book? Any sort of video, be it cartoons, something my son or daughter is watching, music competes with the narrator’s voice and I have to turn the book off. My brain just can’t focus on the chaos of too much noise. And so I usually wait for everyone to go to bed. And then I’ll listen. I have a ‘date’ with Will Patton in a little while. I’ve never listened to Alas, Babylon before, though I’ve read the book a dozen times or more. I’ve had to replace it twice (thank you, God, for print-on-demand books!). Have any of you gotten into the audible book craze? 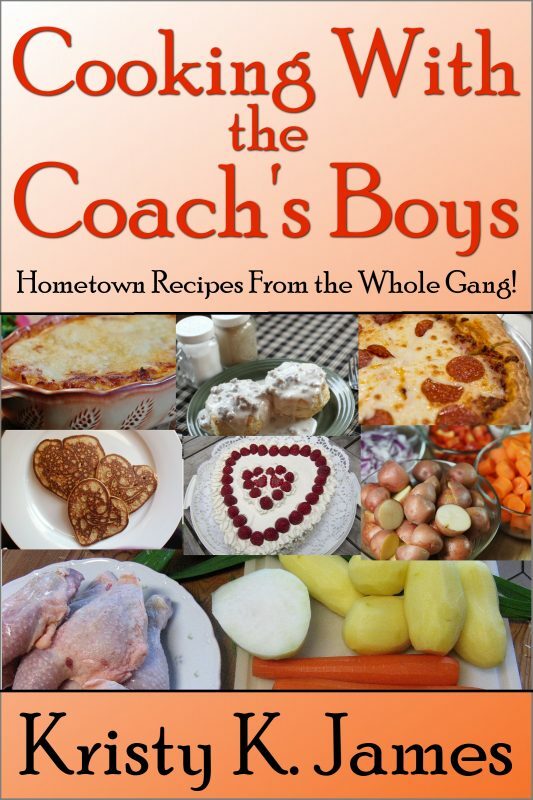 I have most of the Coach’s Boys available, as well as the Casteloria books. I’m not sure why the distributor of the Casteloria books won’t change the covers since I’ve re-titled them so A Prince on the Run, The Physician to the Kind, and The Princess and the Bodyguard can only be purchased as Laying Low in Paradise, A Cool Summer in Paradise, and A Cold Day in Paradise. Until I can get ACX to actually make the change – which both Katie and I requested they do last year – it’s just going to be a little weird with that series. I’m not 100% sure on this but it looks like if you buy (and maybe even own already) the books in these series’, you can get the audible versions for $7.49. Except for Darby’s Dilemma, which is $1.99 and The Princess and the Bodyguard (formerly A Cold Day in Paradise). Unfortunately, Katie was unable to complete the series after Nolan’s book. By the way… I’ll have some exciting news about this series soon! And now, I’ve got about an hour before I go to bed. Do I listen to a little more of Alas, Babylon? Or do I finish watching the last thirty-nine minutes of Letters to Juliet? Decisions, decisions. This entry was posted in Audible Books, Books and tagged A Fine Mess, A Harry Situation, A Hero For Holly, A Merry Depot Christmas, A Prince on the Run, Brody's Banshee, Code Red Christmas, Darby's Dilemma, Enza, Erin's Christmas Wish, Haunted Depot: The Ghost Curse, Her Best Friend Jon, Her Long Road Home, His Only Love, Holding Out For Love, Josh, Kristy K. James, Reluctant Guardian, romance, The Daddy Pact, The Detective's Second Chance, The Physician to the King, The Princess and the Bodyguard, The Secret, The Secret Admirer. Bookmark the permalink.